Music-Hall, a anthology of works from Paul van Ostaijen. I bought this book 3 June 1978. Today, King’s Day here in the Netherlands, i was thinking about my post for tomorrow. I really loved bumping into Lucebert’s poem yesterday. So i was thinking of making a post about him. It’s just, i don’t have a history with Lucebert. Apart from the line alles van waarde is weerloos. So my mind jumped to one other person i know. This book i have for a very long time. 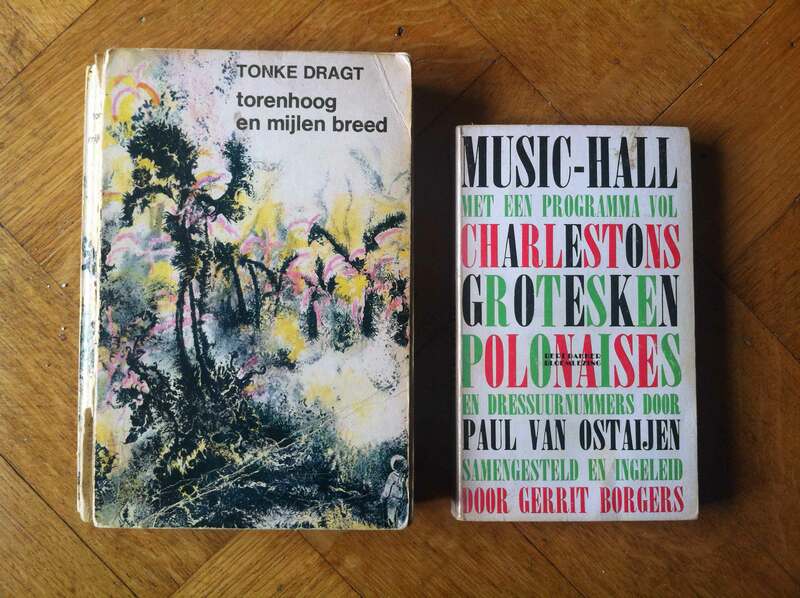 His poem Polonaise is used in a book from Tonke Dragt, Torenhoog en mijlenbreed (High as a tower and miles wide). 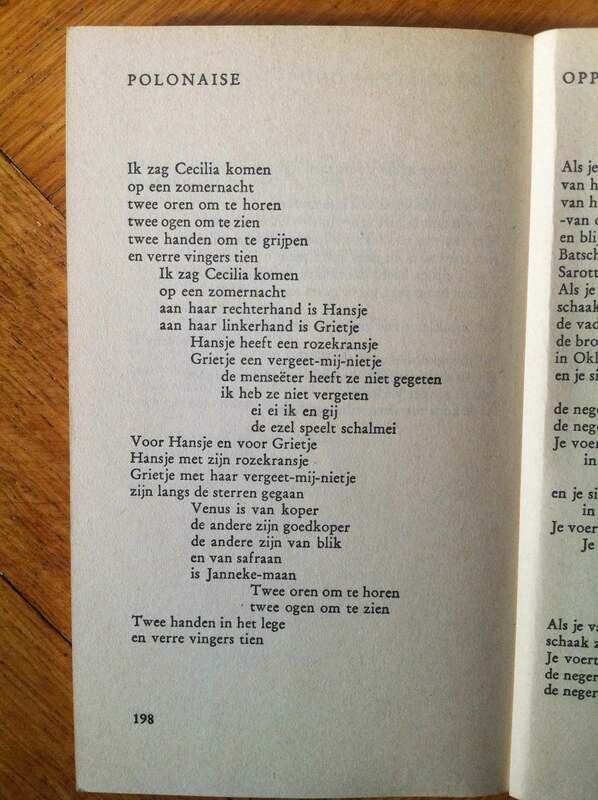 Paul van Ostaijen is a Belgian poet and writer. He died young, when he was 32 years old. 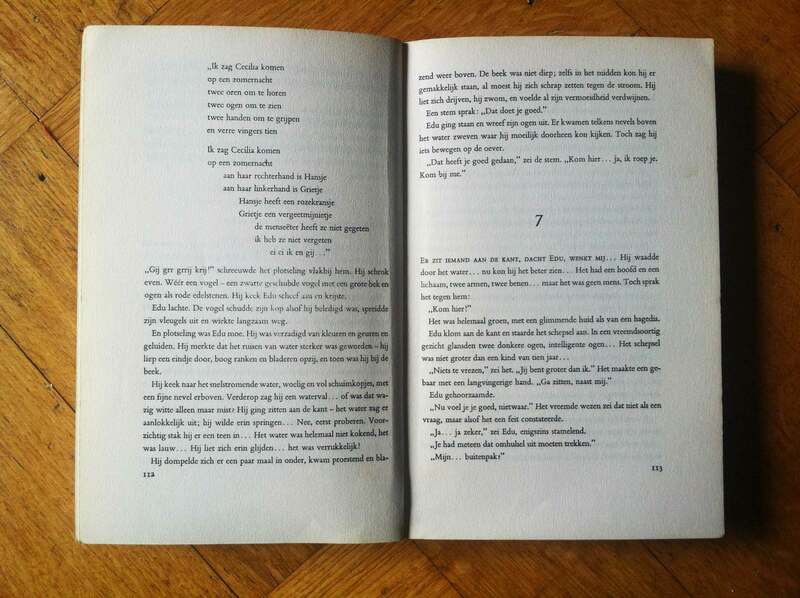 Polonaise and Marc groet ‘s morgens de dingen are the main poems i know. I’ve read more, but these two have stuck to me. Another poem i really like.